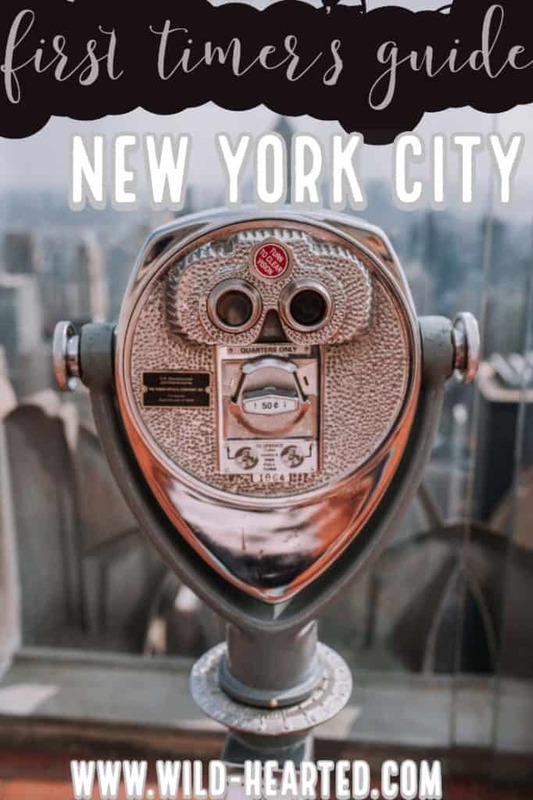 Tips for Visiting New York City for the First Time | Everything You Need! I know some people who think New York City is the greatest place on Earth and some people who have no desire to visit or return again and while I suppose I can understand either sentiment, I’m so happy to be a part of the former group. I think I fell in love with New York City before I ever stepped foot in it and the actual physical presence in the city actually solidified what I already knew: my heart would always, in one way or another, belong to New York City. 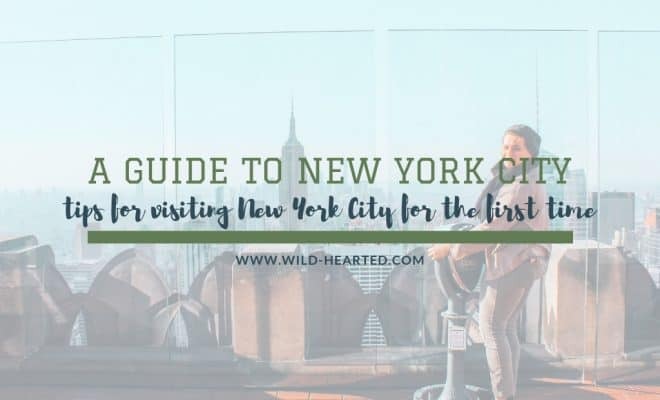 I want everyone to love it as much as I do and I know it can be a little intimidating so I’ve put together these tips for visiting New York City for the first time. 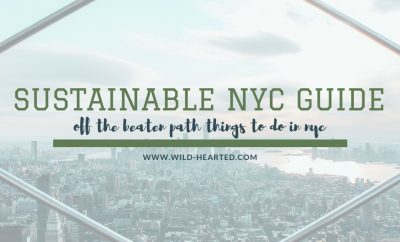 I’m not an NYC native nor am I an expert but this should at least help ease that intimidation and help you experience the grittiness and beauty of the city. 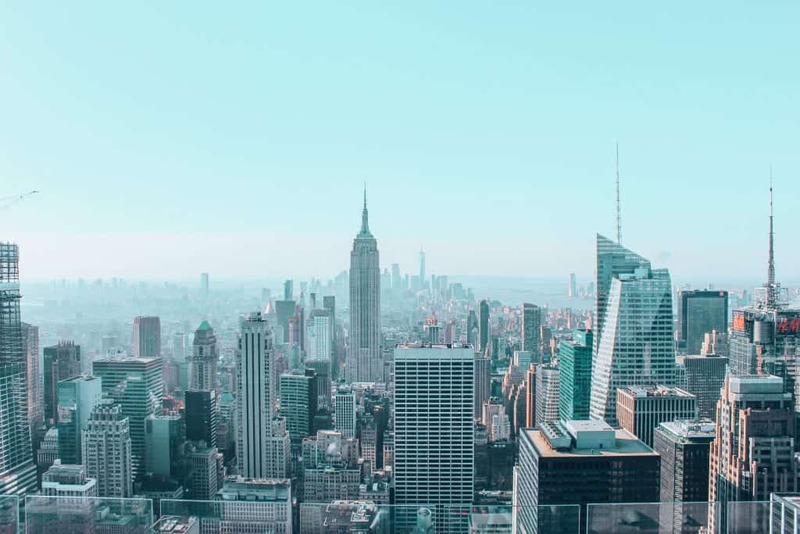 Psst: Looking for more information on New York City? Check out a few of our other posts! First, you’ve got to get to New York City, right? With several airports, train and bus stations, and highways, New York City is highly accessible. If you’re traveling in from another country, you’re likely flying. If you live in Ontario, Canada, it’s not a bad drive though. If you live in the country, you’ll have to compare prices but flying to NYC can be fairly inexpensive especially if you have time to wait on a good deal or have some flexibility. I was able to fly from Nashville to NYC for less than $100 on Southwest (I actually flew for free because I had points) and I regularly see deals like this all the time from Nashville. My favorite way to search for cheap flights and keep an eye out for new deals is through Skyscanner. Skyscanner allows you to set up alerts that are then sent to your email daily and book that flight as soon as the price drops. I’ve saved a lot of money this way. It also lets you see if it’s cheaper to possibly fly in or out on different days. There are three major airports in NYC and I swear everyone is faithful to one particular one. On my most recent visit to NYC, I flew into LaGuardia and out of JFK. I found different things I liked about each one. 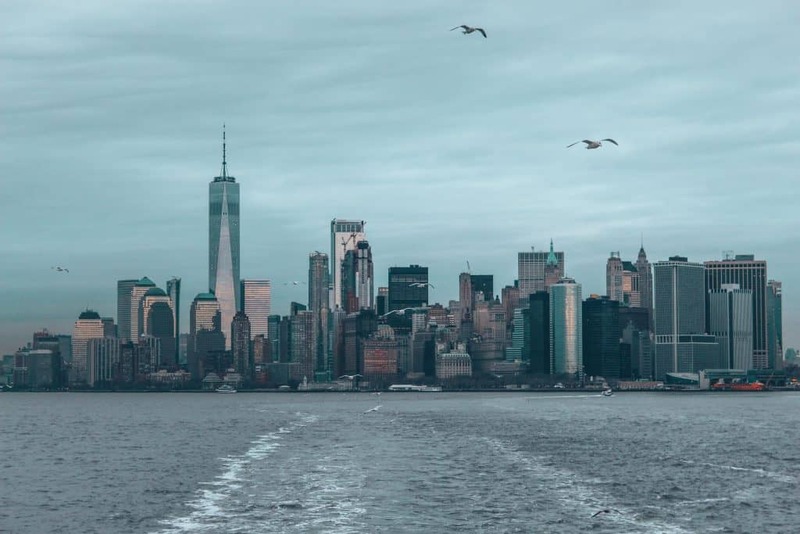 I thought the ride into the city from LaGuardia was quieter and less hectic (and cheaper) but I thought the ride out of the city to JFK easier and more travel-friendly. You’ve rolled the dice, weighed the decisions, and picked your airport. Now, you need to get from the airport to the city. JFK to the City – I found this airport to be the easiest in terms of getting to/from the city. Take the AirTrain from JFK to the Howard Beach station to transfer to the subway train, or “metro.” At Howard Beach station, you’ll get on the A (a blue line) train. Now, depending on where you’re headed, you could take the A train all the way to the top of Manhattan while passing through Times Square, Penn Station, Central Park and more. Otherwise, you can transfer along the way to get where you need to go. The AirTrain fare is $5 one-way and you can buy a pass right before boarding. Once you arrive at Howard Beach, I’d suggest getting a MetroCard for the remainder of your time in NYC – this will give you unlimited access to the subway and city buses for only $32. LaGuardia to the City – LaGuardia was cheaper and quieter but maybe not as easy (still not difficult though). There are no AirTrains or subway trains connecting directly to the airport. Once you arrive at the airport, head to the public transportation area (there will be plenty of signs) and you’ll find MetroCard pay stations. Grab a 7-day pass for $32. This gives you unlimited access to the subway and city buses (including the bus you need to catch from LaGuardia). Grab the M60 bus which runs from the airport to 106 and Broadway (the Upper West Side). From here you could then catch a subway train to your final destination. Alternatively, grab the Q70 bus which drops you off at the 7 train (purple line) at 74th St and Broadway in Queens. This line runs south of Central Park and makes stops at Times Square, Grand Central Station, Hudson Yards, and more. Newark to the City – I have traveled through Newark but not traveled to/from the city to Newark so I can’t give much personal advice but it seems fairly easy enough. Take the AirTrain ($5.50) to Penn Station. From Penn Station, I would suggest grabbing a 7-day MetroCard and connect to the appropriate subway line for your destination. Does the idea of getting around New York City leave you paralyzed and lost? Don’t let it! New York City is huge, of course. I mean an absolute mammoth of a city. I could live there and probably never feel like I know it all. However, the general layout of the city and getting around is not that difficult. The grid layout is ingenious and the subway system is one of the best in the world. New York City is made up of five boroughs: The Bronx, Brooklyn, Manhattan, Queens, and Staten Island. 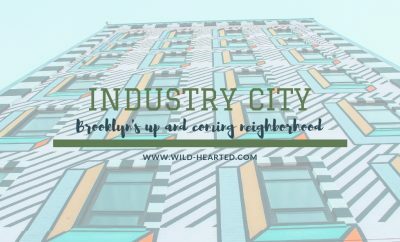 Inside each of these five boroughs are countless, and I mean countless, neighborhoods. In Manhattan alone, there are probably 50-60 neighborhoods. Some are more well-known and more established than others. Manhattan is the long skinny island of the five boroughs and arguably the most popular of the five. It’s also the only borough I’ve spent much time in, unfortunately. The numbered streets run East to West (horizontal) and start at Houston Street with Houston being essentially “0.” As you go North, the street numbers go up. The numbered avenues run North to South (vertical). Your blocks between avenues are going to typically be longer than your blocks between streets. Fifth Avenue is the dividing line of Manhattan. Anything to the east of 5th Avenue are labeled as such and anything to the west are labeled as such. Central Park stretches from 59th St. to 110th St. The neighborhood to the left (west) is Upper West Side and the neighborhood to the right (east) is Upper East Side. Harlem sits on the North side of Central Park with Midtown sitting on the South side. Brooklyn sits on the western side of Long Island and is the most populated of the five boroughs. I was honestly shocked at how large Brooklyn was and I can’t wait to go back and explore more. Queens sits to the east of Brooklyn and takes up the other portion of Long Island. Queens is the largest borough size-wise and the most ethnically diverse urban area in the world. The Bronx is the northernmost borough and sits right above Manhattan. Staten Island, in my opinion, is the least talked about of the five boroughs aside from the Staten Island Ferry. 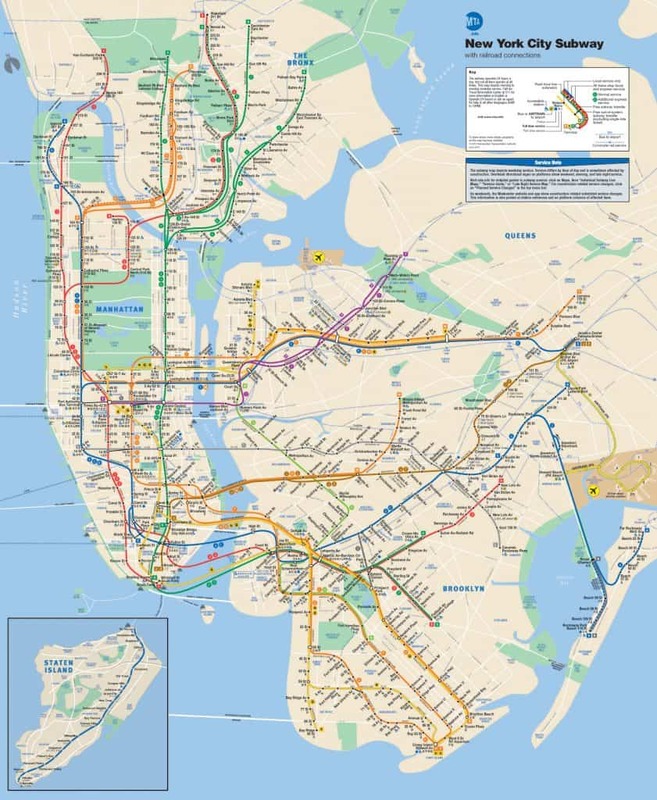 The subway system in New York City is one of the largest, oldest and best in the world. Aside from walking, it is my favorite way to get around the city. Looking at this map can, at first, be a little daunting but once you get to know it (which won’t truly happen til you’re there), you can appreciate how beautiful it is. The subway is most commonly referred to as a train. The trains run 24/7 throughout the five boroughs. Additionally, if you get confused, use Google Maps – it will break down exactly what trains to use and where to transfer based on where you’re going. The black dots on this map represent local stops and the white dots represent express stops. 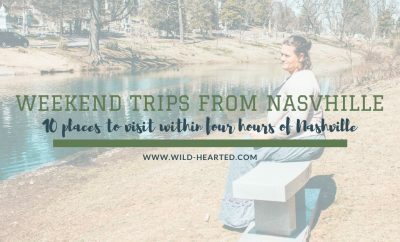 The card will pay for itself (on the 7-day card) in just 12 individual trips which is more than realistic if you’re actually wanting to explore outside the neighborhood you’re staying in. The unlimited cards expire at midnight on the 7th, or 30th day. You can buy a MetroCard at any subway station at either a station or booth. Still looking for more information using the NYC subway? Check out this amazing and thorough guide. You can also follow @NYCTSubway on Twitter for up-to-date information such as closures and changes. Also, see the MTA’s website for more information. You will probably never see me take a taxi or an uber in a city that is so easily accessible via public transportation or on foot because I’m so cheap and they just aren’t as sustainable. However, I know that’s not the case for anyone. 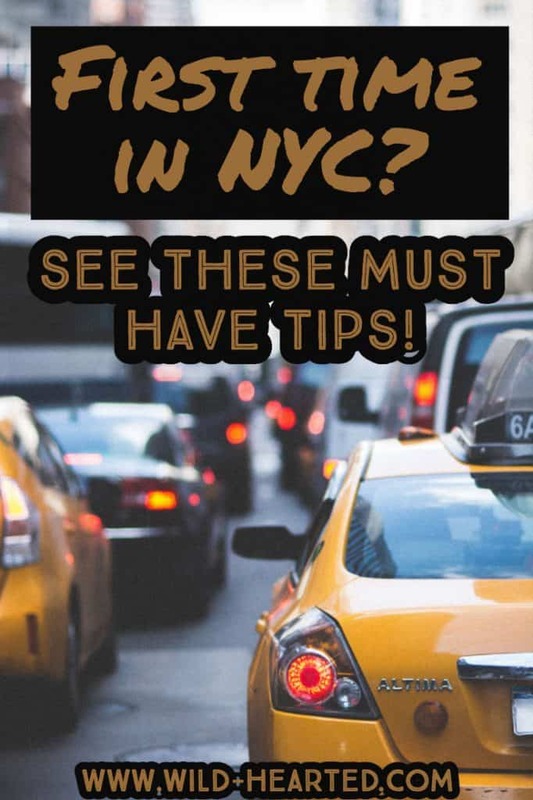 Here are some great tips for hailing a cab including rates and tipping and here is some information on Uber for NYC including a rate calculator. 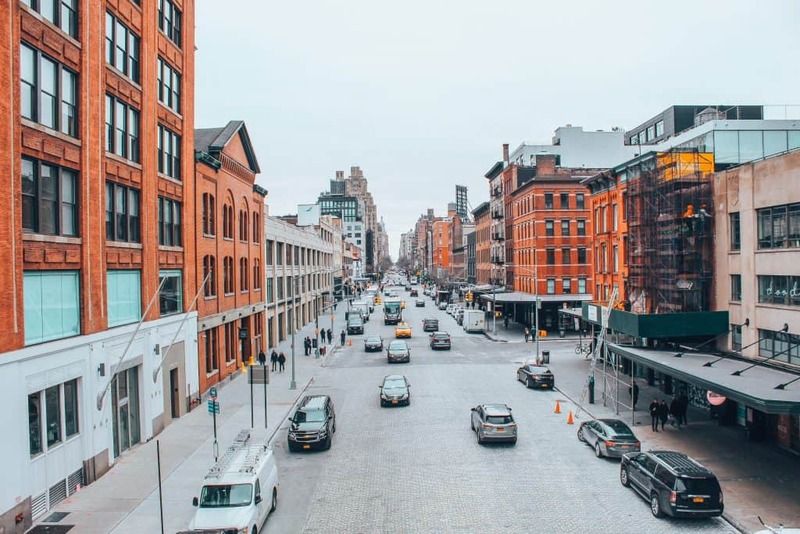 Walking – one of my best tips for visiting New York City for the first time! I honestly walk so much when I travel. Like unrealistic amounts. I’m this friend. Are there 5,000 rooftop bars or restaurants or whatevers in New York City? Sure there are…probably. Those quite possibly have a better view but I don’t really go to bars so you’ll have to find those on your own. The best and cheapest view of New York City. It’s the cheapest because it’s free. Nothing is better than free. I’d suggest a lovely sunset or sunrise ride on the Staten Island Ferry to get those stunning unobstructed views of the concrete jungle and the Statue of Liberty. This was my first time being in the Empire State Building and while, yes, it is a tourist attraction, it was still pretty spectacular. Also, all I can think of now is Ted off of How I Met Your Mother. Ted is also my Dad’s name – fun fact. I’m going to have to go with the Top of the Rock over the Empire State Building in terms of views though. Mainly because you can now see the Empire State Building in your view and it’s such an iconic building that it really should be included. 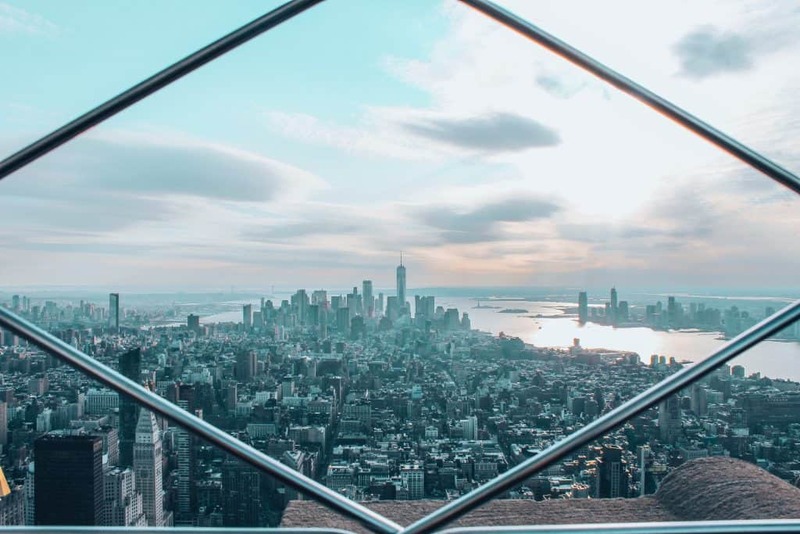 What do you think – Top of the Rock or Empire State Building for the view? The High Line is also pretty amazing for views of the city in a completely different way. You won’t get a high vantage point like the top of a skyscraper or a fantastic landscape vantage like on the ferry but you will get some pretty great views one of the best green spaces in the city. Also, free. Which has been established as winning. You’re not going to go through wifi withdrawals in New York City. There are tons of public places that you can go to access the internet. Here are some areas you may already be heading to but this is not a complete list. LinkNYC – a free service where you can access wifi and charging ports. There are approximately 1500 across the city. Accessing wifi is almost a must in today’s world and, luckily, it’s pretty simple to find free wifi in New York City. I would suggest doing so safely though by finding a VPN that works for you. VPNs are the most effective measure you can take to improve online security and privacy. Interested in saving money? The answer is always yes. Maybe you’re wondering if is the New York pass worth it? And to you, I’d say yes. I do suppose it would depend on what you want to do. If you only want to do one thing on the list, then no. But, why would you only want to do one thing? The New York Pass is $132 for adults. Depending on which options you go with, you’re saving anywhere from $20-$90. See more details and purchased the CityPass here. There are a few ways to get heavily discounted tickets and on the same day as the show. Here’s a quick rundown. TKTS – head to the TKTS booth in person at one of the three locations: Times Square, Lincoln Center, and the South Street Seaport. Play the lottery – enter your information online the night before and you’ll know by the next morning if you’ve won. I hope these tips for visiting New York City for the first time helped or will help. If there are any questions I didn’t cover but you’re curious about, pop them in the comments and I’ll add it or find the answer for you! 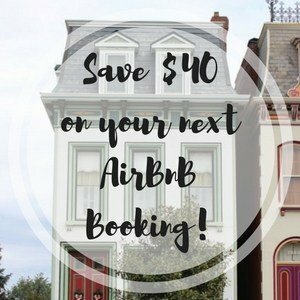 Looking for accommodation in NYC? Check out reviews here and book here. Want to know where to eat in NYC? 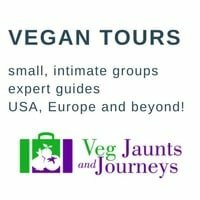 Vegan Guide to Manhattan coming soon! What else have I written? You can find more NYC posts here.